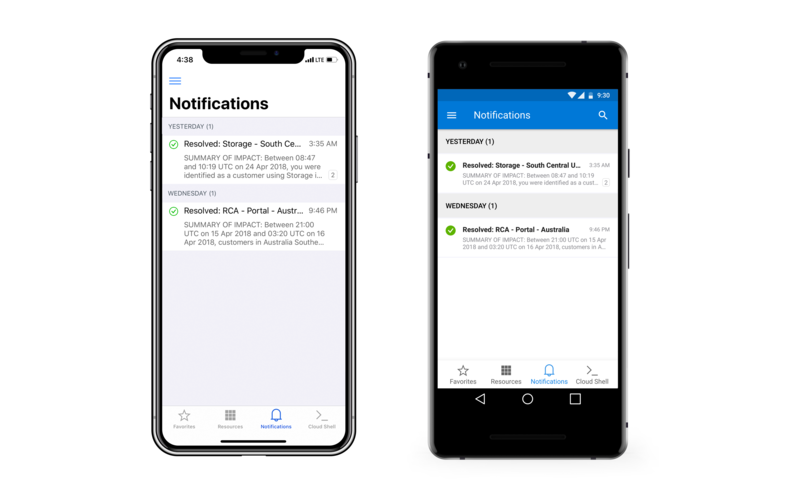 Stay connected to your Azure resources – anytime, anywhere. 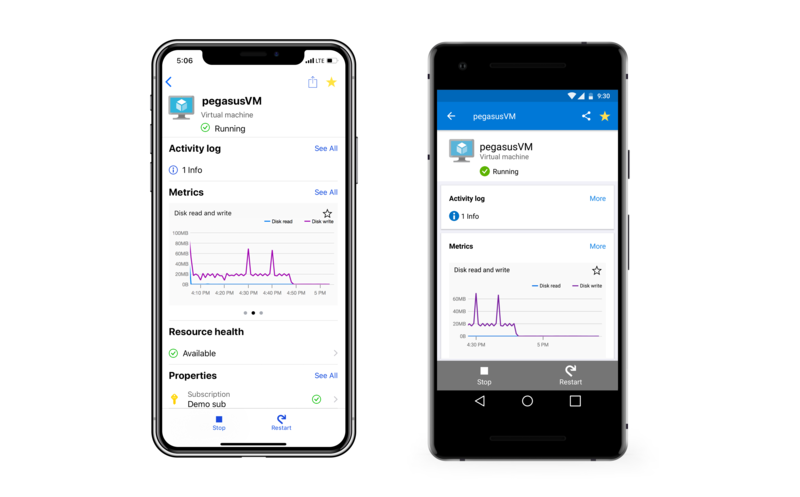 The Azure mobile app gives you the freedom to access and monitor your Azure resources. You can keep an eye on your most important resources and quickly take actions to manage those resources. 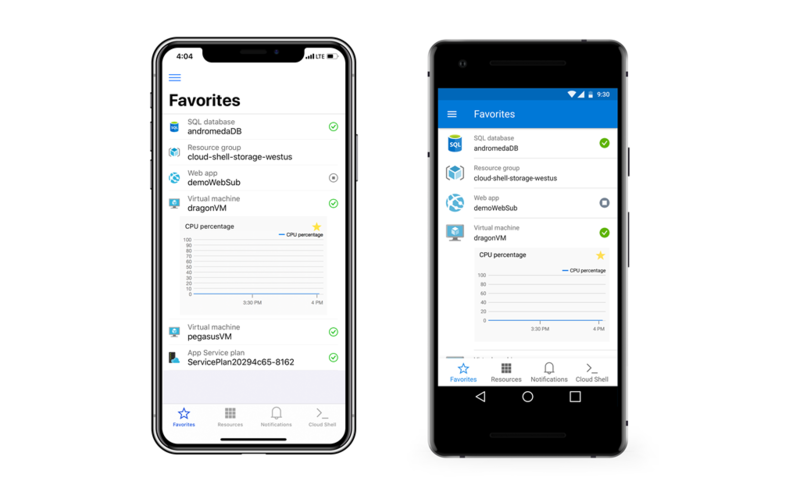 This is what makes the Azure mobile app a must-have for any Azure pro! Today, we are happy to announce the general availability of the Azure mobile app. It is easy to keep an eye on your most important resources and key metrics charts by adding them to your personalized favorites list. The Favorites tab facilitates quick access to resources across subscriptions as well as metrics for your mission-critical resources. We know that staying up to date with your Azure services is essential. 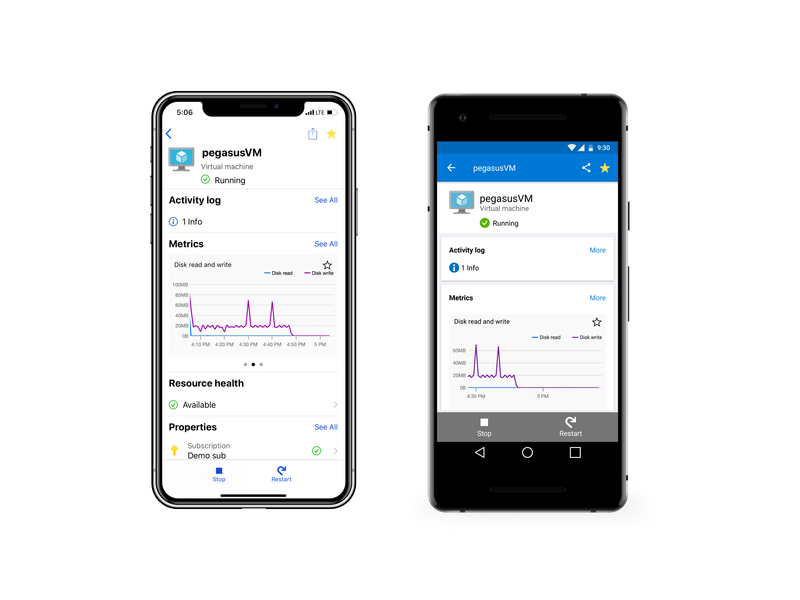 The Azure mobile app keeps you up to date with any Service Health issues. The notifications tab will show you the latest updates as well as the history of events. You can even sign up for push notifications via Action Groups on the Azure portal. Sometimes, work can be unpredictable. Dinner might be interrupted by a small issue in your system that can be fixed by simply restarting your virtual machines. The Azure mobile app has got you covered. You can execute quick actions on your Azure resources like restarting virtual machines or web apps. Forgot to turn off an expensive machine you were running an experiment on? The Azure app is there to help you stop it while out of the office and on your mobile device, as illustrated below. With great power, comes great responsibility. 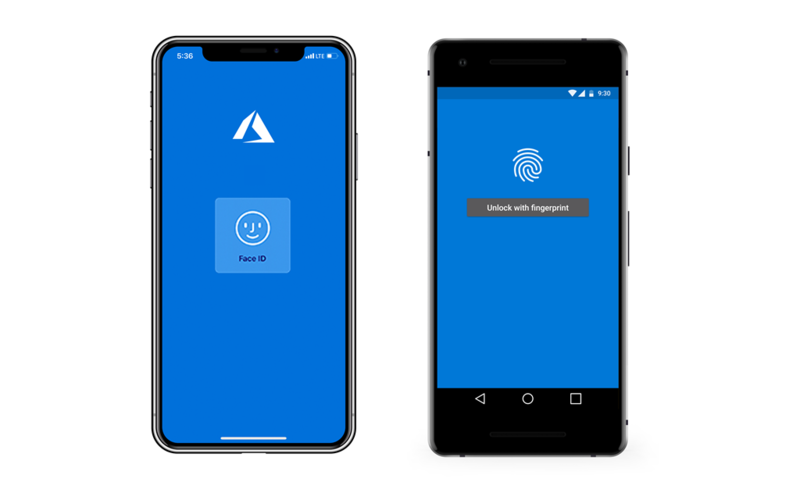 Which is why the Azure mobile app can now leverage your device’s Fingerprint, Touch ID of Face ID features to add an extra security layer. Just turn on the feature in the settings menu and your Azure resources access will be even more secure on your phone. The Azure mobile app comes with Cloud Shell integration. You can execute commands and use your saved scripts giving you an unparalleled ability to control your Azure environment anywhere. 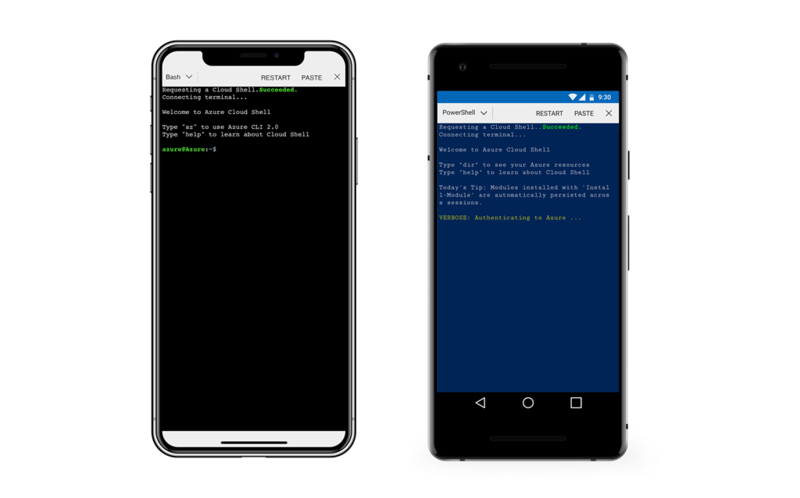 The Azure mobile app allows you to choose your preferred CLI experience between Bash and PowerShell. The Azure mobile app is now generally available, and we will continue improving it. We want to bring the full power of Azure to your fingertips, no matter where you are. Have any ideas or feature requests and want to get involved? We would love to hear your feedback! Download the Microsoft Azure mobile app and let us know what you think at our feedback forum. Follow us on Twitter @AzureApp for the latest news on the app!